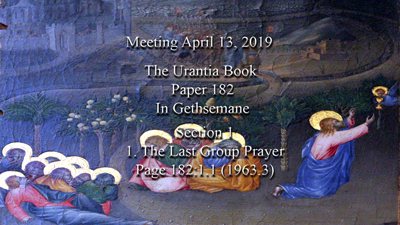 Meeting April 13, 2019 of the Fifth Epochal Revelation Fellowship, Inc., discussing: The Urantia Book, Paper 182 - In Gethsemane , 182:0.1 (1963.1) . © 2018 Rev. Dr. Roger W. Paul. All rights reserved.